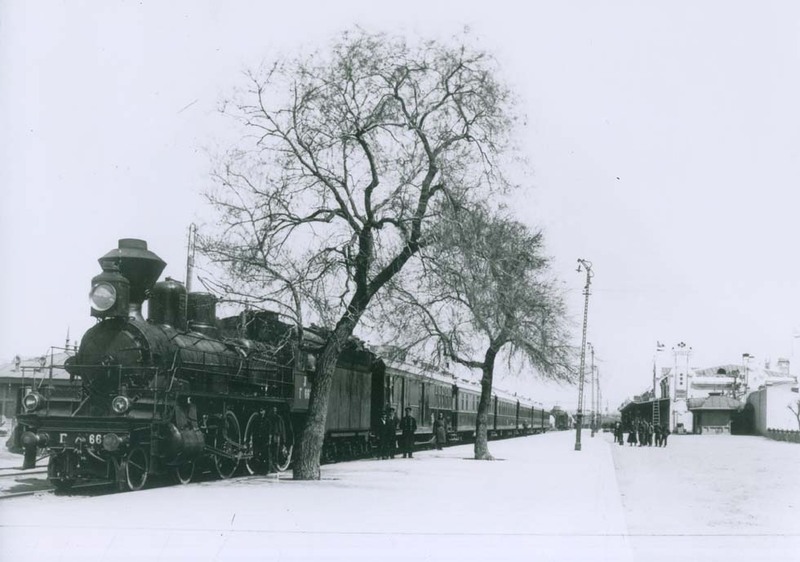 In 1920 CIWL services on broad gauge from Changchun through Manchuria to Vladivostok started, from 1922 announced as the Transmanchourien-Express, surely interrupted by the Soviet occupation of Vladivostok. 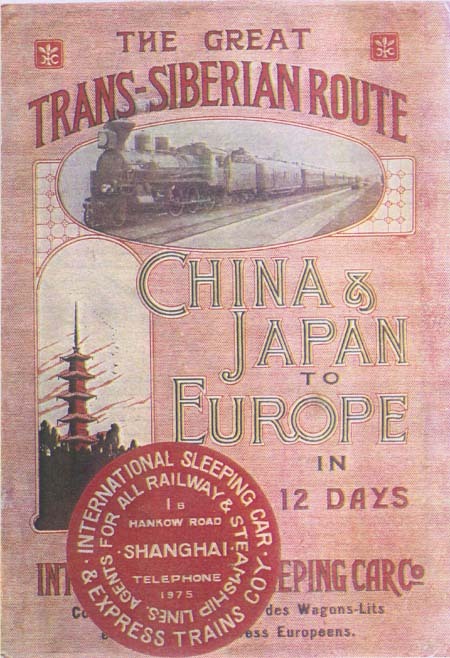 In the 1920s an advertisement of the Chinese Eastern Railway praised a “Trans-Siberian Express Train” and the drawing showed a teak-brown 1st and 2nd class CIWL-type sleeper with the caption “Sleeping Car of the Trans Siberian Express Train” and a strange label, probably a false anticipation. 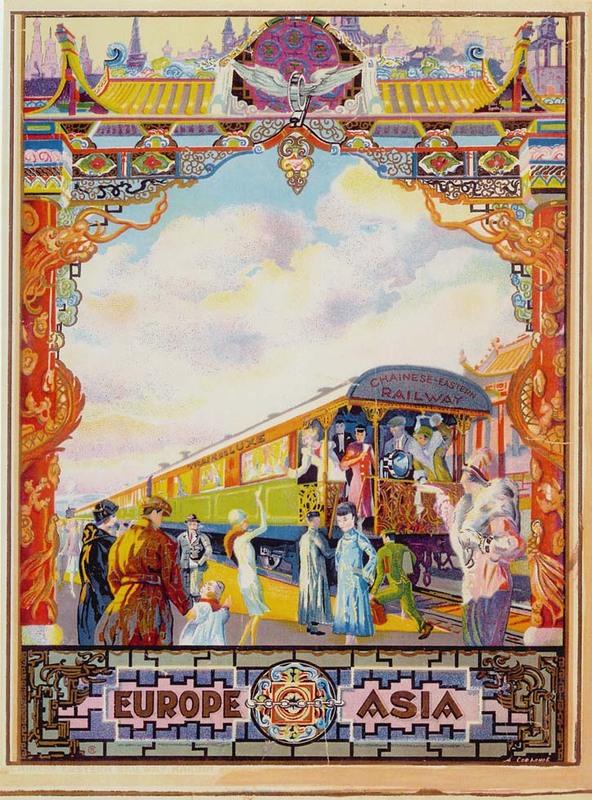 A Wagons-Lits timetable of 1930 listed only a Transmanchourien Express 6/5 three times weekly from Manzhouli to Harbin and Changchun in connection with "les trains sovietiques Moscow - Mandchourie". Through cars Manzhouli - Vladivostok did run only by request: "En cas d'affluence, voiture directe pour Vladivostok". More important were the standard gauge connections to Shenyang (Mukden), Beijing, Dalian and Busan. The meals on the Transmanchourien had to be paid in Mexican dollars, the last gold currency. In 1931 the Japanese conquered the rest of Manchuria and the Transmanchourien disappeared. 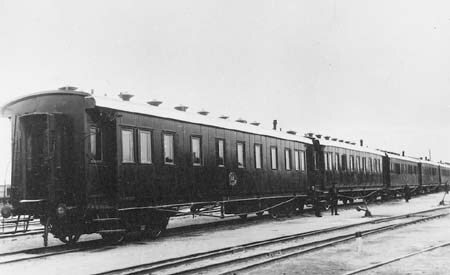 CIWL Harbin workshops from 1922, services with WL CIWL (see China), WR CIWL 928, 932, WL, diner, couchette/coaches rented from East Chinese, coaches from Ussuryi mainly as reserves. Colors: CIWL teak, Chinese Eastern green/teak, Ussuryi cars painted dark. 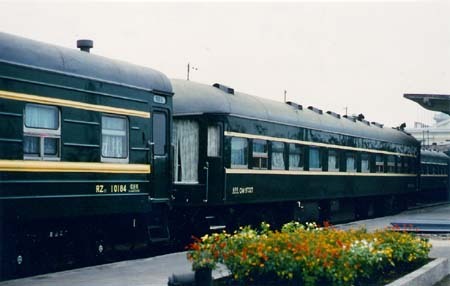 East Chinese 1st class 2-berth, 2nd class 4-berth compartments, 3rd class 4-wheelers open couchette compartments. 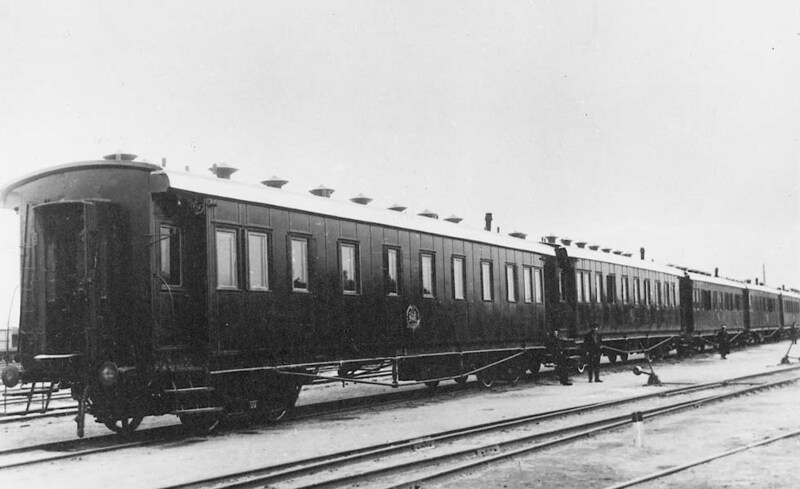 In 1932 a special was formed, consisting of 1 Fourgon (van), 1 Voiture-Restaurant, 3 Wagons-Lits 1 Salon-observatoire (no. 221) of East Chinese, rented by CIWL. Traction by a series G (4-6-0). No regular running! In 1931 CIWL's own cars escaped to China and until 1933 a total of 194 East Chinese cars were transferred to the Soviet Union. Minami Manshu Tetsudo. Standard gauge. Only the most important locomotive classes are mentioned, without engines taken over. For more information see the Japanese literature. Initially the express passenger engines were of 4-4-0 type (Alco 1906), 4-6-0 (Alco 1907-12, Beyer Peacock 1912), 4-6-2 (Alco 1908, Baldwin 1919), passenger train engines 2-6-4T (Alco 1907, Japanese 1934-36), freight engines 2-8-0 Baldwin, Alco 1907/08), Baldwin 1920). Narrow gauge:2ft6in and 3ft6in, leased from Japanese military authorities, in 1908 returned to the government. 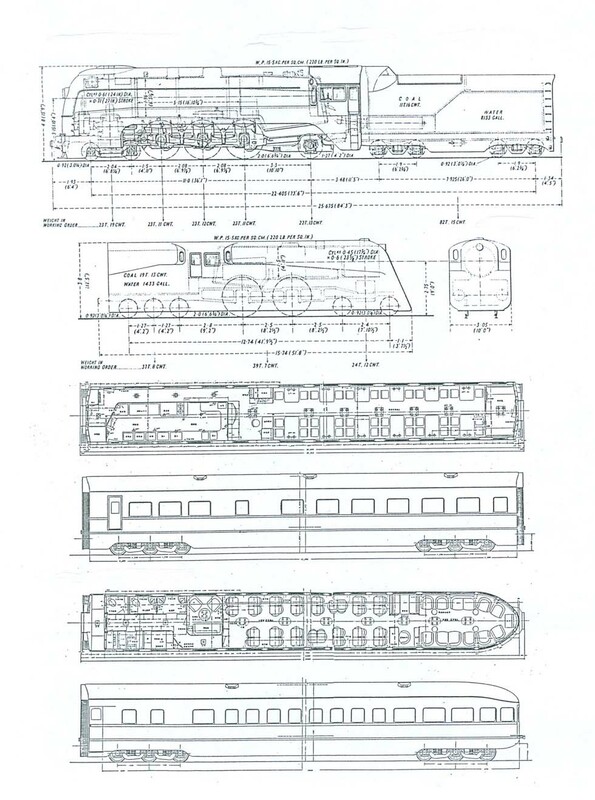 According to Charles Small on 3ft6in were used 0-6-2T of German, British and American production, 2-8-0 from Baldwin and second-hand engines from Japan. 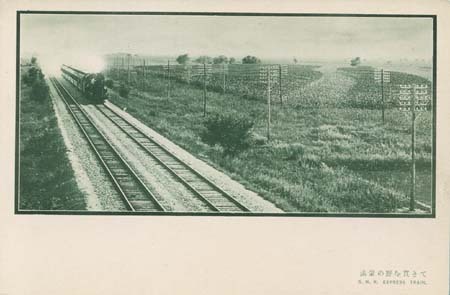 From 1933 North Manchuria Railway (a SMR division), then Manchukuo State Railway. 83 locomotives had been transferred to the Soviet Union, 44 Ye were rebuilt to standard gauge. After occupation by Japan in 1931 the network of "Manchukuo" was changed completely to standard gauge. 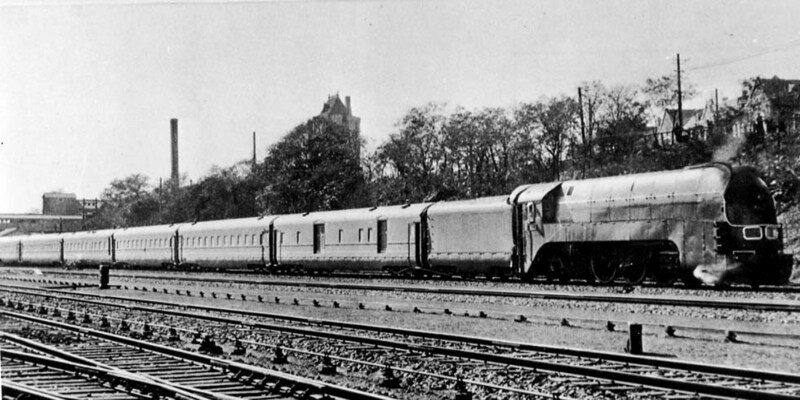 Only in 1935 services from Manzhouli re-started, now at Harbin connecting with the streamliner "Asia", introduced in 1934 initially between Changchun and Dalian. It was the show-piece of the Japanese - an American-style streamliner, no longer an empty-running first-class train, the best train of Asia! 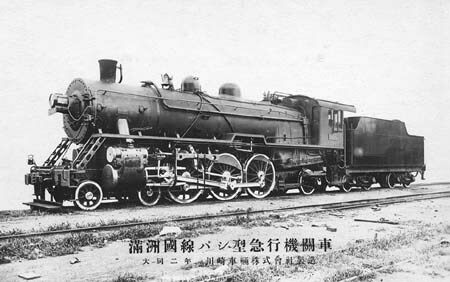 The standard gauge train 702/701 Manzhouli - Harbin in Manchukuo did run even in 1943 and probably later. A train 901/902 connected Harbin with a place near Suifenhe at the Eastern border. In August 1945 the Soviet Army stood at the trans-Manchurian railway. All cars streamlined 12-wheelers, pale green, white line, locomotive indigo blue. 1 Teyu (postal van) KGR ? 1 Hane (sleeper 3rd class) KGR ? 1 Ha (3rd class) KGR ? 1 Shi 5 (diner, 12-wheeler) SMR or MNR ? 1 Ro… 2nd class SMR or MNR ? 1 Rone 2 (sleeper 2nd class) SMR or MNR ? An official business car GW 97327, photographed in 1979 by Bill Pearce in Changchun, is considered the Tenine 2 type of the Tairiku express. According to Heiko Mueller also the cars GW 97310 (used for special trips), GW 97350 and GW 97351 are still existing. One GW on exhibition is painted green with yellow stripes. A car no.16 with an open end platform is preserved by the railway museum Pugok/ Seoul, painted red/cream. Traction in Korea Pasi Shi or Pasi Go (Pacific), on SMR Pasi Ro (Pacific).